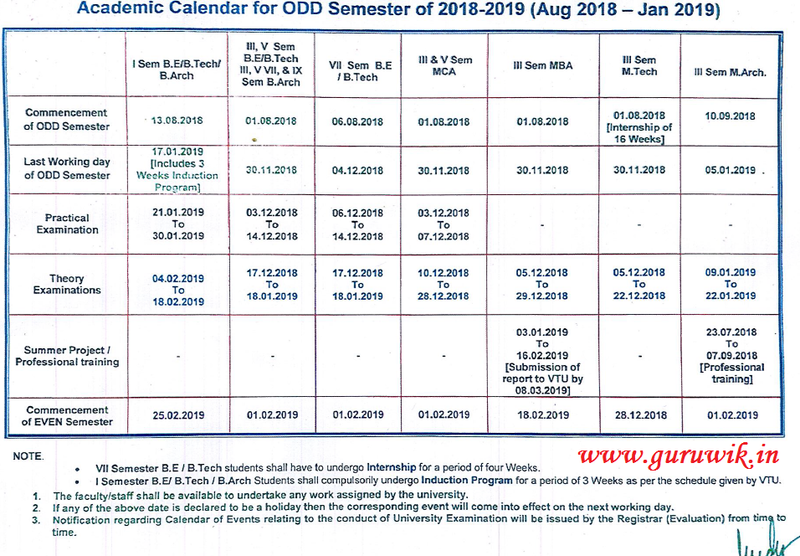 VTU University has declared the Academic Calendar for the upcoming semester in their official website. 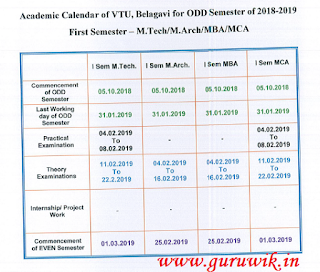 Every year, VTU will release the Academic calendar so that Students can know and prepare themselves for accordingly. 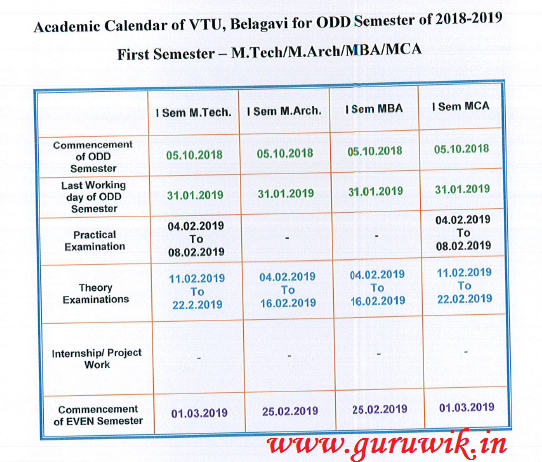 This year also VTU has released the VTU 2018 - 2019 Academic calendar for both UG and PG Courses. 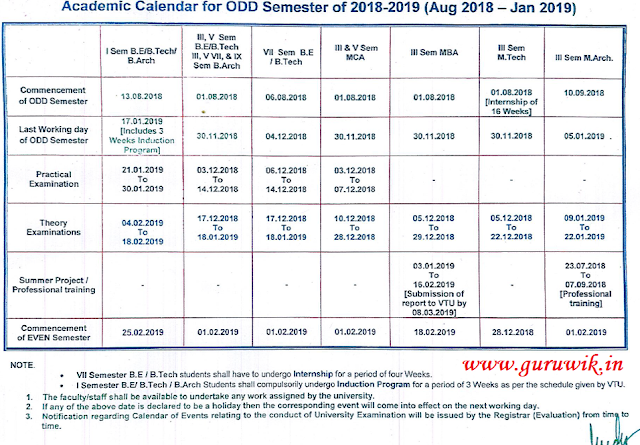 We request Students to download the Academic Calendar and make a note of Important dates for their preparation.